Creative musicians are dreamers by their very nature, but not the garden variety type; plain old dreamers simply imagine possibilities while musical dreamers imagine and realize them. They follow thoughts, concepts and ideas from inception through completion, ushering in life with their hands, hearts and minds. They sow the seeds of harmony, melody, rhythm, nuance and life to create something that's, hopefully, worth hearing and holding. Creative musicians, in essence, work the seam between anything-is-possible openness and structural specificity, marrying these strange bedfellows time and again. 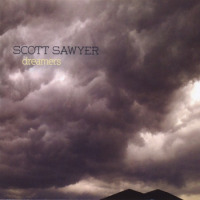 Guitarist Scott Sawyer's Dreamers is a sonic manifestation of the aforementioned line of thinking. Sawyer balances head and heart, displaying a deep, in-the-moment emotional connection to his work while remaining ever-watchful of the big picture. His strongest material is that which allows his guitar work to breath and sit in the atmosphere. A penchant for angular melodicism is noticeable in more excitable environments ("Booshki"), and Sawyer can work a groove tune like nobody's business ("Copperhead Stew"), but it's his quiet strength and subtlety that help to paint the most vivid pictures. He's at his best when he presents slowly unfolding Americana ("Joe Dunn"), supports spoken word recitations ("Dakota"), and visits Nick Drake's darkened world with guest vocalist Kate McGarry ("River Man"). 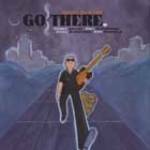 McGarry's work with Sawyer on the title track and a latter-day Bob Dylan winner ("Not Dark Yet") is also noteworthy. Sawyer's primary playmate here is tenor saxophonist Dave Finucane, who gets better and better over the course of the album. At first glance his work seems passionate yet rudderless ("Booshki"), but first glances never give a complete picture. By the time the album arrives at a wonderfully playful and not-so-standard "How Deep Is The Ocean," Finucance has become an indispensable part of the mix. With the exception of Sawyer himself, it's Finucance, bassist Ron Brendle and McGarry who make the biggest impression(s) here. Dreamers is always on the move, shifting from ethereal realms to heartland habitats to grooving scenarios and beyond, and that's how Scott Sawyer seems to like it. He's a man of many tastes and he makes it clear that he knows how to combine them into a cohesive whole.